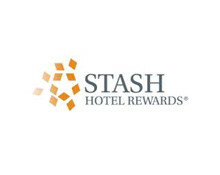 Launched in 2010, Stash Hotel Rewards® was created to provide independent hoteliers the benefits of a chain-like loyalty program without rigid chain standards. Now the USA’s largest points-based rewards program for independent hotels, Stash helps independent hoteliers reward their best guests, attract frequent travelers, and increase repeat business. With Stash Hotel Rewards, hoteliers enjoy full control over redemption rates, while travelers appreciate no blackout dates and points that never expire.